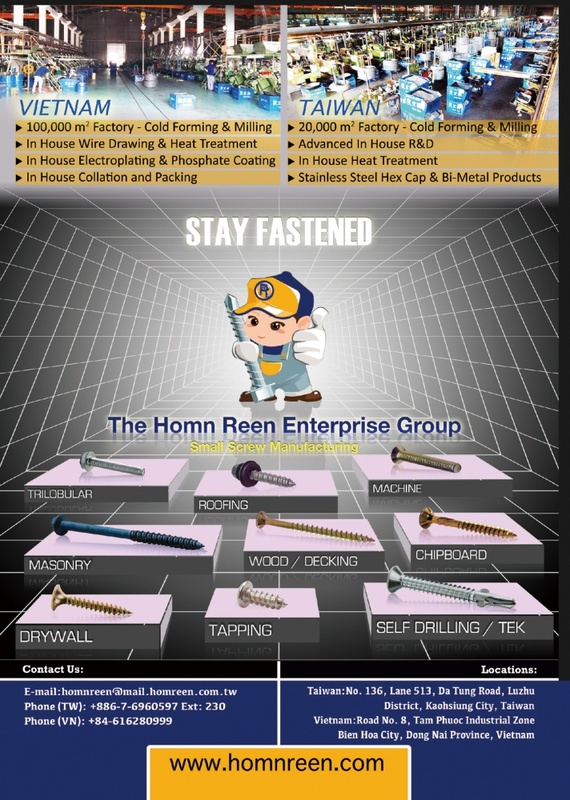 HOMN REEN is a screw manufacturing company based out of Kaohsiung, Taiwan. It was founded in 1985 and currently employs over 190 people. 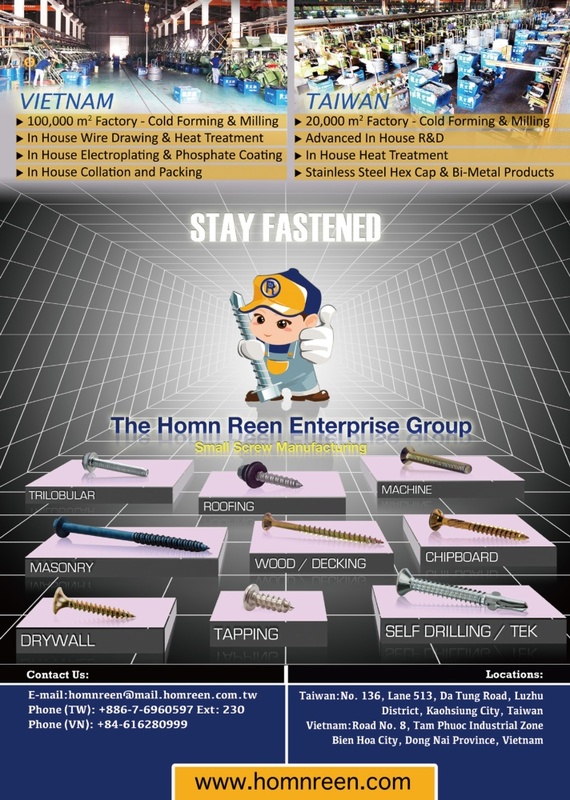 Home Reen offers a variety of specialty and standard screws in large quantities to businesses and individuals worldwide. We export our products on the average of 1500-2000 tons per month domestically and abroad. Investments, modern manufacturing techniques and attentiveness to customer needs has helped us become a leading screw manufacturer in Taiwan. Our customers have come to appreciate these high production standards and sophisticated technology solutions. 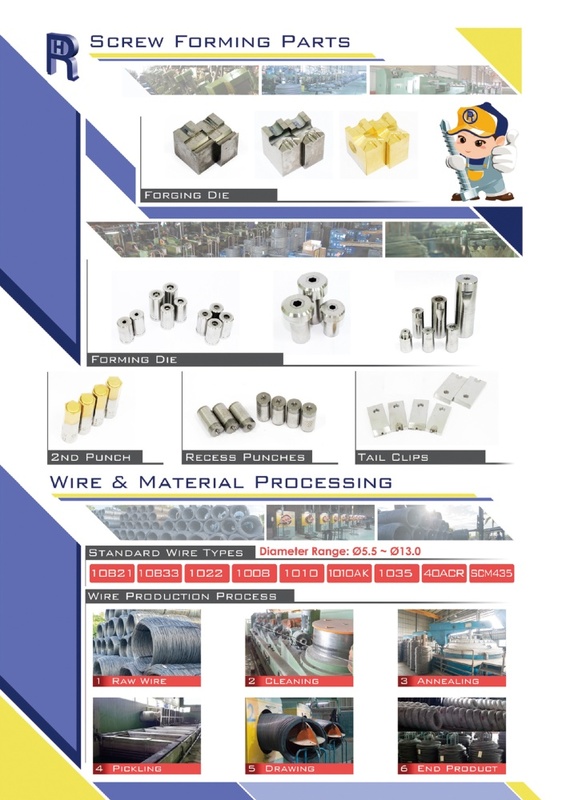 Further details about our products and services can be found throughout this web site, available in both Taiwanese and English. On behalf of the entire staff here at HOMN REEN, we welcome you to join us so we can grow together!